Comedian and actor, Tom Arnold has had a long journey dealing with addiction. In the 1980s, his chaotic lifestyle, which included drugs and alcohol, caused him to enter rehab. After two decades of sobriety, he became addicted to painkillers as a result of a motorcycle accident in 2007. He kept his new addiction a secret until he almost died as a result of a ruptured colon he attributes primarily to his addiction. Now in recovery, he hopes to help others by sharing his story. 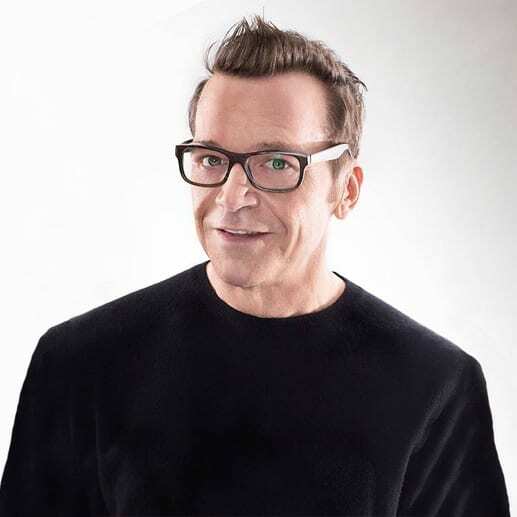 As a writer, producer, and actor, Tom Arnold has established himself to both TV and film audiences worldwide, having won such awards as the Peabody award and a Golden Globe Award. Additionally, he helped put Fox Sports Network on the map with his hosting duties on “Best Damn Sports Show Period” and CMT’s top-rated “My big Redneck” franchise including “My Big Redneck Family” which premiered at the highest ratings in CMT history. Born in Iowa, Arnold began his career in comedy when he moved to Los Angeles to write on the highly successful TV series, “Roseanne”, before eventually serving as executive producer for the sitcom. He went on to star in his own HBO special “Tom Arnold: The Naked Truth,” and then wrote, produced and starred in his own TV series “The Jackie Thomas Show, and “The Tom Show”. Arnold cornered the market on playing the resident comic relief in films like “Nine Months” with High Grant and Robin Williams, “True Lies” with Arnold Schwarzenegger, “Hero” with Dustin Hoffman, and “Austin Powers: International Man of Mystery” with Mike Myers. His other movies include “Grassroots”, Tyler Perry’s “Madeas’s Witness Protection”, “Hit and Run”, “Any Day”, and ”Sin City Saints”. Arnold has successfully broken out of the comedic stereotype and is receiving critical praise for his role in “Gardens of the Night”, “The Great Buck Howard starring John Malkovich and Tom Hanks and in Don Roos’ “Happy Endings”. He also appeared in “Pride”, “Animal Factory”, “Soul Plane”, ”Cradle to the Grave” and “The Kid and I”. He most recently appeared on his own special entitled “Tom Arnold: Past & Present Imperfectly” and can currently be seen on his own political series for Viceland , ”The Hunt for the Trump Tapes”. Audiences have recently seen him on NCIS: New Orleans and in the independent film, “Saving Flora”. Arnold moved from Minneapolis to Los Angeles in 1988 and started as a stand-up comedian which led him to a role on a TV show. Although he had been drinking and using drugs for years, he realized he needed to keep his addiction a secret to become successful in Hollywood. Moving in with Rosanne Barr, which landed him in the news, wasn’t a positive thing. With chaos enveloping his life, he could no longer deny his addiction and he entered rehab. Unfortunately, a 2007 motorcycle accident and a prescription for painkillers caused him to relapse and become physically addicted again. It was in 2010, when his colon ruptured as a result of his continued use of drugs, that he got a true wakeup call. After a close brush with death and seven surgeries later, Tom is actively involved in the recovery community and is passionate about telling his personal story to provide hope to others. COPYRIGHT 2018 Celebrity Mental Health Speakers, All Rights Reserved.